At SoftEgg, we've always tried to do what nobody else is doing. I think they call that "innovation", but we mean it in a totally non-buzzwordy way. With Princess Maker 2, we were ahead of both the anime trend and a whole new genre of "raising-up" games. Our imitators have had some great successes! 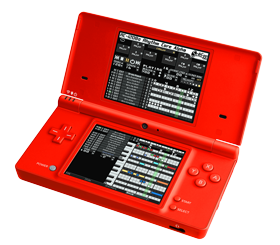 Now, with Rhythm Core Alpha for Nintendo DSi (in Nintendo DSIWare shop), we have released a tool that lets you make real music, live, in front of an audience. An improvisational tool. A real musical instrument that fits in your pocket! You might not have heard of SoftEgg before, because we have primarily sold our programming services to other companies on a contract basis. We've worked on many big ticket games, such as Ratchet and Clank: Size Matters on Sony PSP, James Bond 007: From Russia with Love for X-Box and Playstation 2, and Silent Hill: 0rigins for Sony PSP. Games that SoftEgg staff have worked on that were not credited to SoftEgg include Ratchet and Clank 1&2 for Sony PS2, most of Working Designs award winning JRPG localizations (Lunar series, Rayearth, Albert Odyssey and many others), and Pirates'! Gold for Sega Genesis. We've also done work on websites, embedded systems, and Adobe Flash games. Regardless of the platform, SoftEgg is all over it!